Home Improvement Projects Not to DIY | Obey building codes and dont void your home warranty. We all like to save money on labor costs and we love the sense of satisfaction that comes from completing a do-it-yourself project, but there are times when the job should be left to a pro. There are a number of reasons for this — the needed equipment is too expensive for a one-time job, your local building codes require permits and a licensed tradesman, or the repair might void your warranty or homeowners insurance. It always pays to look into these things. So which jobs should you be wary of? Here are to consider. Simple pruning is an everyday (or yearly) task that most homeowners can take care of. A simple thinning of the canopy using an extension trimming tool allows for better air circulation and protects the tree and your home during high winds. But working very high or taking entire trees out is dangerous. Small repairs are one thing but additions and major structural changes are best left up to a general contractor. 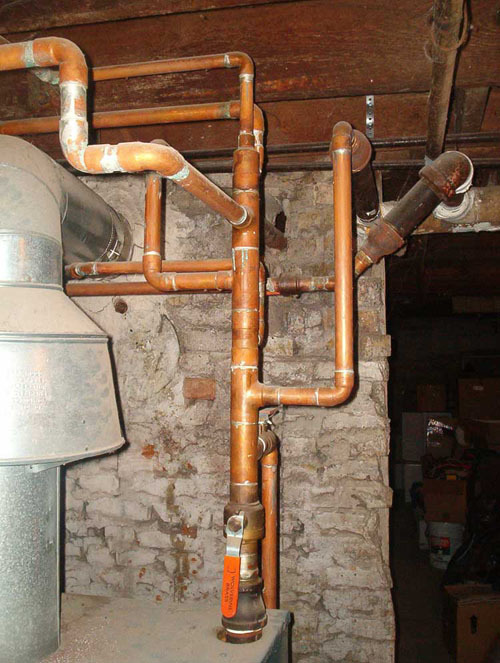 The possible changes such as plumbing, gas piping, and electrical work usually require permits and licenses. Also, identifying load-bearing walls can be tricky. Minor driveway repairs are well within the reach of most homeowners. However, replacing a driveway either with concrete or paving stones is a major job and much more back-breaking than it might seem at first glance. The existing driveway must be removed and concrete forms must be built or the ground prepared for pavers. Minor repairs aside, bigger jobs like replacing circuit breaker boxes or running new lines require a professional. Electricity is dangerous and working with it requires a permit and subsequent inspection. Additionally, the warranty from an electrician will give you a warm fuzzy feeling. Again, this work will likely require a permit and inspection. Plumbing can also be tricky; I cant tell you the amount of return trips I have made to Home Depot for even small tasks. Sizes and shapes leave a lot to be desired in the standardization area. Putting on a New Roof. Cleaning out your gutters, replacing some flashing, or sealing a few leaks is no big deal. Installing a new roof is another can of worms entirely. Just stripping and disposing of the old shingles is a headache. You will also welcome the warranty that comes with a professional installation. Once again, small repairs are one thing but a replacement is best done by a knowledgeable crew. This makes sense because your siding is the one thing standing between you and the elements. Annual cleaning or re-staining existing siding is a fine DIY job though. Replacing contractor-grade windows with energy-efficient ones is all the rage today. This makes sense because newer windows will quickly pay for themselves. That being said, this is a job best left to a pro because of the careful measuring and installation required. Adding an Outdoor Kitchen to Your Patio. This will really add to your home equity but is another job best left to the pros. First, someone with experience in design can really make it happen. Secondly, permits will be required for natural gas, electrical, etc. It is no secret today that building product that contain lead or asbestos are deadly, deadly, deadly. Asbestos left undisturbed is relatively safe but if disturbed and airborne can lead to mesothelioma. Many older popcorn ceilings, flooring, and some insulating materials contain asbestos. Leaded paint is outlawed now for residential use but in older homes may be present on walls, siding, stairs, anywhere. The bottom line is to use common sense and do your research before jumping into a home improvement project. Dont get in over your head or budget. Do you have any tips or lessons learned for our readers? Share them in the comment section below!